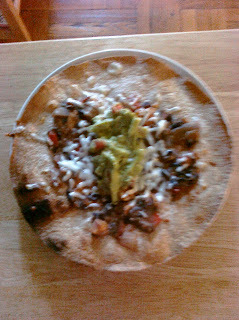 Ayer for Din Din I repeated Fridays dinner which was the WW Wrap with my Black Beans, Part Skim Mozzarella, and homemade Guacamole. 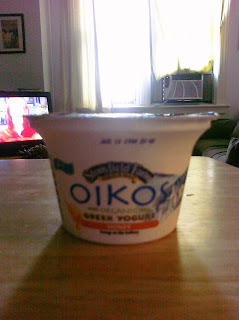 After dinner I had Oikos Honey Yogurt. 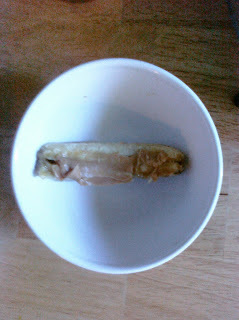 This morning I had a mini Banana with a smear of PB before heading to Yoga. Give me your food! lol. 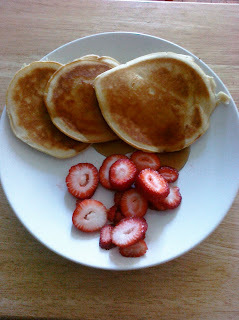 Those pancakes look quite yummy! 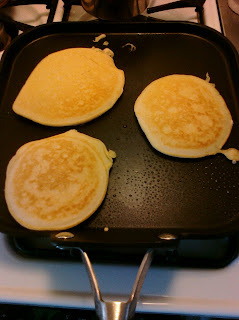 I'm so jealous of your griddle! 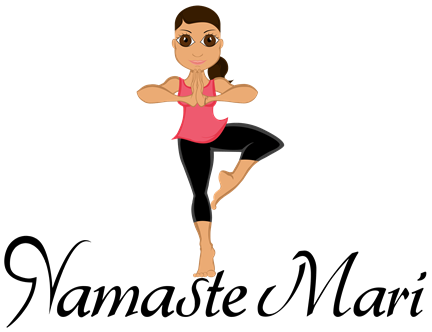 Please gimme some stacks fo pancakes please!